The Hobbit, The Lord of the Rings, and Tolkien - The One Ring • View topic - The most commonly questioned / unresolved issues of LOTR. The most commonly questioned / unresolved issues of LOTR. Were the Ainur kind enough to allow Arwen and Aragorn to be reunited in the afterlife? Whitering wrote: Were the Ainur kind enough to allow Arwen and Aragorn to be reunited in the afterlife? That is in the hands of Eru, not the Ainur. Presumably they were united "beyond the Circles of the World". Arwen and Elrond, on the other hand, seem to have been eternally separated. Did she follow the same path as Luthien and pass out of the world to wherever that may be or did she end in the Halls of Mandos? Maybe that's a better way to ask the question. Oh what a lovely thread! I think I read somewhere in Tolkien's letters that he intended for there to be gaps/inconsistencies/enigmas because that is the way REAL mythologies handed down through the ages are. I am sure these are the types of things one would encounter when, for example, the Finnish Kalevalah (sp?) which was an oral tradition was recently written down. We are fortunate to have all of Tolkiens notes, and his son Christopher. At least we don't have to translate the Rosetta stone! And it makes it oh so much for fun for us to debate them endlessly! I am going to add my two cents to the conundrum of Tom Bombadil.. whatever he is.. a maia gone native or whatever.. I say Goldberry is of the same fabric. Mithluin, I love that line, 'What say you.' ! And of course, he was inspired to create the whole concept of Middle earth from the enigmas in Old English poetry - the fragmentary passing references to things like Welund and Earendel, the star - where you can sort of guess the weight of mythology behind it, but it has been lost. However, Arwen's fate is not one of those enigmas. She chose to be numbered among the Second Children, as was her right as a peredhel, and her destiny after death was the same as Aragorn's. What about Beorn?I know that he is a shape-shifter,but do you know anything else about him? Was Tom Bombadil a Maiar that "went native" ? I recently read a chronology of Middle Earth which implied that the twin sons of Elrond - Elladan and Elrohir - chose to become mortal like their sister Arwen. However, if I remember, didn't they hang around a bit with Celeborn at Imladris at the beginning of the Fourth Age and then probably took ship (was there something about this in the beginning appendix to the FOTR) ?? MithLuin wrote: (...) I agree that there were not thousands of Balrogs. But I have great difficulty resolving his comment that there were only 3-7 with his stories. Gothmog, lord of Balrogs, had to be slain by Ecthelion in the Fall of Gondolin. 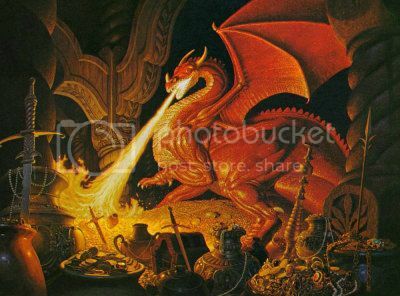 Another Balrog had to fall with Glorfindel. And then there was the one Gandalf killed. So, there's the three. Fine. But what are we to make of comments about 'most' of the balrogs being killed during the War of Wrath? The point is that some of the ideas that are recorded in essays are perfectly valid, but were not always taken up in the stories. In other words (if I read you correctly) if two Balrogs were already dead before the War of Wrath -- under the concept of seven -- that leaves five, and with 'some few' surviving, how many were slain here? Even if we 'force' some few surviving to equal two, that would mean only three were slain at the War of Wrath. This line was written by JRRT when (he imagined) large numbers of Balrogs existed, and this section of QS was never truly updated by JRRT himself. Christopher Tolkien retained the wording with respect to the War of Wrath for the 1977 Silmarillion, but he seems to have edited out references to large numbers of Balrogs, leaving the constructed version vague on the question. Of course the later altered text to The Annals of Aman, revised by JRRT himself, still does not include a specific number. It is only in the marginal note 'to himself' that we get 3 or at most 7. I know this thread probably wasn't intended for chat on the issues, but it seems to have evolved a bit. Yes, that is a fair reading of what I was saying. JRRT's intentions changed over time, and the balrogs evolved from being merely extra-strong orcs to becoming powerful demonic foes. His 'final word' on the subject shows clearly what he intended....but the necessary edits to the story to make it so were never completed. CJRT's edit sought to reduce the numbers so that the stories did not reflect (for instance) to original 'Fall of Gondolin', but at the same time...did not take it so far as to reflect only 7 balrogs, either. More editing would have been required, and really only JRRT could have done that. Instead of 'some few' surviving, the statement would have to be re-written that not all were slain, and unbeknownst to the host of the West, one survived and hid deep under the Misty Mountains...or words to that effect. Anyone else have an unresolved issue from LOTR? Last edited by FrodoTook on Sat Jan 26, 2013 3:07 am, edited 1 time in total. Thanks for the interesting thread, FrodoTook. I'm not sure it's something that is commonly questioned - but ’ve always wanted to know more about the Easterlings and Southrons. Allies of Sauron, yes; but unlike the orcs we imagine there to be greater complexity in their reasons and in their moral positions. "He wondered what the man's name was and where he came from; and if he was really evil at heart, or what lies or threats had led him on the long march from his home; and if he would not really rather have stayed there in peace." Did they ally with Sauron simply because they were/ had turned evil? Or were they tricked? Or were they forced? Perhaps just a mixture of all three – when Sauron is defeated, some continue to fight, others fee, while others seek mercy. I suppose this sort of ties in with the fate of the blue wizards – what of the resistance (if any) to Sauron in the east/ south? How significant would it have been to the final outcome of the War of the Ring? There seem to be differing accounts, even from Tolkien it seems...maybe it’s just too peripheral to the main narrative to have a concrete answer, but it always had me wondering. On the weighty question of Legolas’ hair – actually it’s good to see others have wondered about this too! I thought I was the only one to have imagined him with brown hair. It has always seemed strange to me that Aragorn did not know that Elrond had a daughter? Elrond just forgot to mention Arwen?, true, she had been gone awhile. I remember feeling as surprized as Aragorn when reading about their first meeting! Did Elrond have some forboding about them or what? Was the passing of time so different for elves? Another thing that has always seemed wondrous to me was Boromirs 110 days to Rivendell, how did he find it? Happy chance? a lucky encounter with an elf? A great feat glossed over!? I have one question in my mind. A discussion is already on about this in one of the other threads but I think it is more appropriate to post it here. So, why did it take Gandalf so long to understand that Bilbo had the One Ring? He knew Bilbo had a great Ring, since it conferred invisibility. From Saruman, at the White Council he had learnt that the three, the seven and the nine were studded with a gem each, but the One Ring was not. So, imo he should have suspected the Ring long before and should have started to investigate earlier. And another thing. I agree that Gollum got the Ring by killing and Bilbo got it by mercy. But does that mean it is necessary that the Ring would have opposite effects on the two? Bilbo was unchanged and "preserved" after he got the Ring while Gollum became old, and withered. Great Thread FT, my friend! siddharth wrote: I have one question in my mind. A discussion is already on about this in one of the other threads but I think it is more appropriate to post it here. Gollum had the ring for around 500 years and Bilbo only for 60 years. Gollum lived under the mountain on scraps and never saw sunlight. Bilbo lived in a mansion as a wealthy bachelor. Gollum was well preserved too, since he was still living 400 odd years longer than he should have been and was remarkably strong. fattylumpkin wrote: It has always seemed strange to me that Aragorn did not know that Elrond had a daughter? Elrond just forgot to mention Arwen?, true, she had been gone awhile. I remember feeling as surprized as Aragorn when reading about their first meeting! Did Elrond have some forboding about them or what? Was the passing of time so different for elves? discovered or guessed from such evidence as there is). So a lot of things are hinted at and then left to our own discernment. In the case of Elrond and Arwen, from Aragorn's words we can tell that they did not speak about her, but it was only 20 years. Elrond's children were thousand of years old. It is perhaps not more strange than somone today not mentioning a sister, who was working away for a year or two. As for Boromir again we are never told how he found Rivendell, but from his appearance he would have looked much like one of the rangers in his features and height. From then it would not be hard to guess he was from Gondor. I suspect one of the Rangers of the Elves Elrond send out bumped into him, saw he was an ally and then took him to Rivendell. I've wondered lately what happened to Bill the Pony in the attack on weathertop. Wouldn't he have been about to give an early warning of the wraiths presence. He ought have been terrified of them. Of the original questions I think the one about why they didn't use Eagles must have been answered correctly about a million times by now. Another thing that has always seemed wondrous to me was Boromirs 110 days to Rivendell... A great feat glossed over!? Acording to Tolkien in UT (p.264), "the courage and hardihood required [by Boromir's journey] is not fully recognized in the narrative." As to finding Rivendell, one would have to assume that Boromir eventually made contact with one of Elrond's household or someone else who was "in on the secret." This I don't think would have been one of the Dunedain, since apparently Boromir was unaware of their existence until the Council. I agree to make such a perilous journey by yourself was very brave. More so when you realise Boromir actually did not have much idea of the Northern Lands. Boromir was a fearless man and faced any danger whether it be the Nazgul or a Balrog. It does make me smile when PJ says Boromir was about to start his 5 day journey to Rivendell. Anyway what makes you think Boromir had not met a Ranger? I seriously doubt any of the Rangers would be foolish enough to start spouting to the heir of Denethor about Aragorn or exactly who they were. I am sure they would be wise enough to mention that they were simply men of the North, who were friendly with Elrond, which in itself would be the truth. It seems rather obvious from Boromir's reaction to Aragorn, when he produces the shards of Narsil. `And who are you, and what have you to do with Minas Tirith?' asked Boromir, looking in wonder at the lean face of the Ranger and his weather-stained cloak. Had Boromir been directed to Imladris by other Rangers, surely he would have recognized Aragorn as one of their members, if not their leader. Voronwe_the_Faithful wrote: It seems rather obvious from Boromir's reaction to Aragorn, when he produces the shards of Narsil. Perhaps that does indicate he had not met a Ranger, but I am not convinced. Prior to this Aragorn had just thrown the shards of Narsil on the table and claimed it was the sword that Boromir was seeking. Even if Boromir had met a Ranger he would not understand what one of the Rangers would have to do with Minas Tirith. Frodo had been in the company of Aragorn for a few weeks and before he was informed by Gandalf, he would have been shocked that the Rangers had anything to do with Minas Tirith and the Kings of Men. Similar to what Butterbur says too. It went in at last, Butterbur's face was a study of wonder. So I think the wonder maybe in finding out these Rangers have something to do with Kings of Men. It does make me smile when PJ says Boromir was about to start his 5 day journey to Rivendell. And it makes me groan when PJ has Denethor say "Elrond of Rivendell has called a council." One of the real weaknesses in the movies- an aspect of what Tolkien called "flattening" in his Zimmerman critique- is the fact that everybody knows way too bloody much. If you look over the plot of the LR, especially the time-schemes, it should be clear that the story could not have unfolded the way it did but for everyone (Sauron especially) being in the dark about most of what was going on beyond their own immediate surroundings. We are probably diverting slightly from the thread, but I believe part of the problem is rooted in the location the movies are shot. The films are shot in New Zealand and I believe that Peter Jackson may have convinced himself that New Zealand really IS what Middle Earth would be like. Of course the geography and climate of Middle Earth is closest to Europe and perhaps if it was possible to have filmed things in Europe he may have understood the scale a lot clearer. Flying from Oxford down to Florence and passing Europe by, might have given him a greater understanding of the distances involved. mrunderhill wrote: I believe that Peter Jackson may have convinced himself that New Zealand really IS what Middle Earth would be like. Of course the geography and climate of Middle Earth is closest to Europe and perhaps if it was possible to have filmed things in Europe he may have understood the scale a lot clearer. Flying from Oxford down to Florence and passing Europe by, might have given him a greater understanding of the distances involved. Partly that; but a lot more I think due to PJ living at the turn of the 21st Century, the age of the internet and the smartphone. He doesn't seem to have internalized how slowly information was disseminated before the harnessing of the Magic Electron. Tolkien, by contrast, was a battalion signals officer in a time when armies still communicated by carrier pigeon; he understood very clearly how, in a pre-industrial world, information from beyond shouting distance arrived almost always out of date, usually incomplete and often garbled. Last edited by solicitr on Wed Jan 30, 2013 11:35 am, edited 1 time in total. Please feel free to ask questions and share your thoughts in this thread. Discussion is welcome and so very much enjoyed. I am learning from all of you. I still consider Tom Bombadil ( even with JRRT stating the enigma he said he is ) the embodiment of TULKAS. Yes, I still think of TULKAS when I think of Bombadil. Others have thought of Bombadil as ERU. I enjoyed their perspective and justification. Last edited by FrodoTook on Mon Feb 11, 2013 2:55 pm, edited 3 times in total. Another plot hole: In the chapter "A Conspiracy Unmasked," Merry, Pippin and Fatty reveal Sam as their "chief investigator"- but 'low how he "dried up" after he was caught by Gandalf. The problem, of course, is that Sam only learned about Frodo's plans etc on the very evening he was caught- meaning that he didn't "dry up," and Merry's fibbing. (Or, in actual reality, Tolkien slipped up). Yeah, I always wondered about that too. Unless of course it means that after that episode, Sam didn't tell them anything new, though there probably wasn't any more forthcoming anyway and the others didn't realize that.